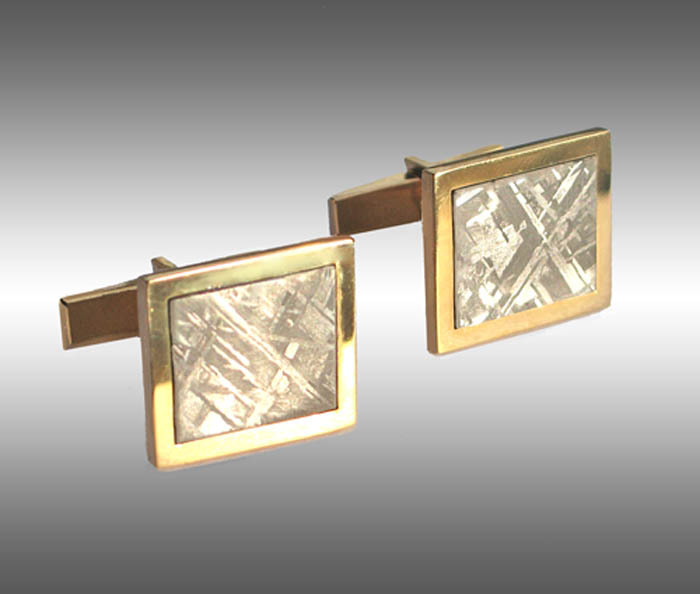 Here we offer our elegant Gibeon meteorite cufflinks. Our meteorite cufflinks are hand crafted here in the US from the finest Gibeon meteorite and precious metals, and come wiht a Certificate of Authenticity! 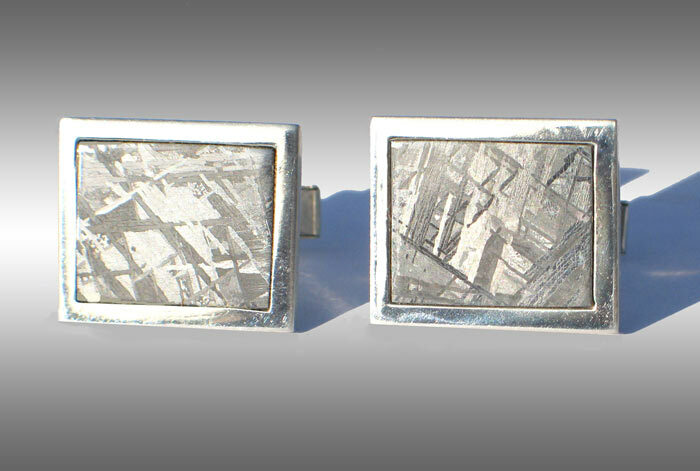 Stock Photo showing elegant Gibeon meteorite & Sterling silver cufflinks. Please enquire for current pricing. Stock Photo showing elegant Gibeon meteorite & Sterling Gold Plated cufflinks. Also available in solid 14k gold. Please enquire for current pricing.